Sean McCarthy is president of SEEK Medical Consulting. Prior to starting his own company, McCarthy held several management positions in corporate America, including area sales manager, director of sales, director of strategic marketing and director of strategic business unit. During his sales management career, McCarthy interviewed in excess of 150 potential hires. Recently, I had the opportunity to ask McCarthy the following question: “What is the best advice you can give someone who has been unsuccessful in obtaining a sales position? 1. “Come prepared to show how your past successes would translate to the future.” Every sales manager wants salespeople to be prepared when they meet with a customer. In the sales arena, thorough knowledge of your products’ features and benefits demonstrates your level of preparedness. Knowing those features and benefits enables a salesperson to persuade customers to purchase the product. In an interview, the product features are your past successes. The product benefits are how your past successes will translate into helping increase future sales for your prospective employer. The best way to demonstrate your personal product features is through examples and stories. It is important that you prepare 30-to-45 second short stories or examples as evidence of your past successes. Think of these stories as your features. The second part of your preparation will be to determine how your past successes will benefit your prospective employer’s future sales success. Think of these as your benefits. By practicing your personal features and benefits, you will convey a high level of self-confidence during the interview. 2. “Ask the interviewer what qualities he or she is looking for in the position.” Your ability to ask questions during the interview will demonstrate to the sales manager your ability to probe and uncover the needs of a potential customer. One of the most common mistakes job candidates and salespeople make is to simply regurgitate several features and benefits of their product. The best job candidates and salespeople take the time to ask questions in order to determine the needs of the interviewer or customer. Just like a customer, every interviewer has unique needs. It is your job to uncover those needs and supply the appropriate personal features (short success stories) and corresponding benefits (how those successes will translate into future sales for the sales manager’s company). When an interviewer says he or she is looking for three qualities in a new hire, you have an opportunity to show that you are listening and understand those needs. 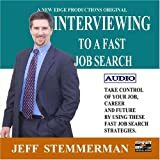 For each quality mentioned, you have the opportunity to use your short stories or examples to provide proof that you have the qualities that the interviewer is looking for. You have now demonstrated to the sales manager your ability to listen by providing an appropriate feature and benefit to answer his or her needs. 4. “Close and get agreement that you are the right person.” This is the part of the interview where the sales manager determines if you have the confidence to ask for the order. Many job seekers forget this step, consciously or unconsciously, because they don’t want to hear the answer, they don’t want to appear pushy or they underestimate its importance. Typically, if you have done a good job of probing, listening and supplying the appropriate personal features and benefits to answer the needs of the interviewer, he or she will preempt your close and let you know the next step in the interviewing process. However, in those situations where the interviewer appears non-committal or indifferent, asking for the job will force the interviewer to let you know how enthusiastic he or she is about offering you a position. Lack of enthusiasm on the part of the interviewer will provide you another opportunity to probe, listen and uncover objections or concerns in order to provide an appropriate short story or clarify something you said earlier in the interview. Once you have answered all the interviewer’s concerns, it will seem very natural to get an agreement that you are the right person for the job. If you walk away from the interview without answering all the interviewer’s concerns, you probably will not have a second opportunity to do so. For this reason, asking for the job is an important step in an interview. 1. Prepare to explain how your past successes will translate to future success. 2. Probe to find out what qualities are necessary for success in the sales position. 3. Listen and supply proof that you have those qualities. 4. Close and get agreement that you are the right person for the position.